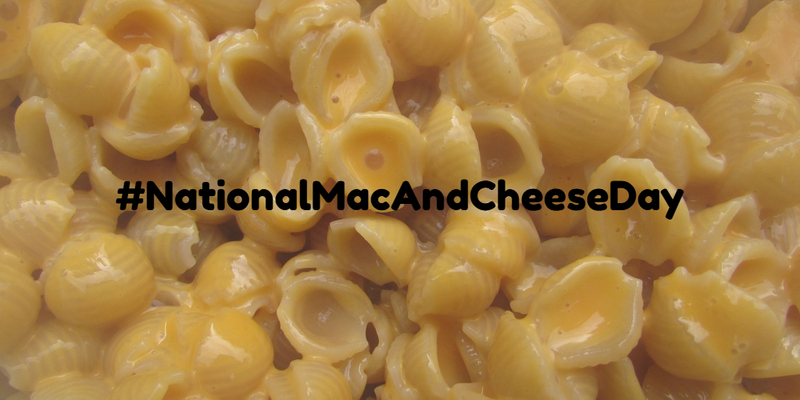 It’s National Mac and Cheese Day! When someone asks me to list favorite comfort foods, macaroni and cheese is on my list! Anything pasta and cheese seems to be comforting. The solidness of pasta with the creaminess of a cheesy sauce is hard to beat. Add a side of garlic bread, and it’s for sure, a carb overload meal. But it’s oh, ooooh satisfying! When I was growing up, mom made mac and cheese with processed cheese. Often it was the government supplied version. Who knows how long the government stored it in a warehouse previous to being distributed to those who needed help with providing family rations? Sometimes she would use Velveeta. Who remembers the “All in the Family” episode referencing Velveeta as a gourmet cheese?! I stopped using Velveeta many years ago when it became harder to melt, and I became more aware of additives in our foods. I miss the taste of the Velveeta of my youth, but not the modern version. Using a box mix isn’t on our menu either. I make macaroni from “scratch.” My kids call it “Company Macaroni and Cheese.” I call it an updated “old school” version. It is more expensive to make than a basic recipe of shredded cheddar or swiss melted in milk, but oh, my goodness! Organic pasta from Italy! Thick, creamy, cheese sauce! Together, a spoonful of Heaven for our palate. I’m sharing my recipe today, but with a warning. When I make it, I often change it to match what I can readily get for cheese. 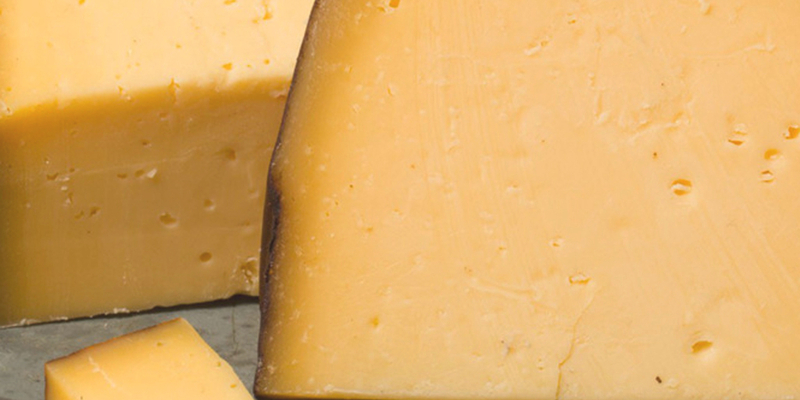 A tip for saving money is to ask at the store deli counter if they have cheese ends. Often they will sell them at a discount. The key ingredients to make the sauce creamy are Organic Valley cream cheese and sour cream. Method: Bring two qt pot of water to a boil; add a sprinkle of salt with the pasta to the boiling water. Pasta cooking time varies by brand and quality. I check at ten mins. If you place a wooden spoon on the top of the pot and under the cover and turn down the heat to medium, it discourages boiling over. As the pasta cooks, in the top of a double boiler add the cheeses to the milk and cream and stir together with a whisk until melted together well over medium-high heat. Add crushed black pepper. Drain cooked pasta. Leave a bit of water in the pasta to prevent sticking. Add to a large bowl (yes, if you’re conserving dirty dishes, this can be all mixed in the pasta pot). Pour cheese sauce over pasta and mix it all together; coating all of it with cheesy yumminess! Pay attention to the sauce that can hide in the bottom of the bowl. I like to use a spatula to mix it so I can bring all of the cheese from the bottom and sides to join with the pasta. I use shells because each shell serves as a boat to cradle delicious, cheesy goodness. Preserve the creaminess by not baking, but if you like that crusty top, sprinkle panko or bread crumbs on top and put it under the broiler and then serve. Watch that it doesn’t burn! Adjust any of the ingredients to your liking as you become practiced with the basic recipe. Veggies – shredded carrot and chopped broccoli work well. Add the broccoli to the cheese mixture just before done melting to the broccoli cooks just a bit. Diced tomatoes. Meats – as with Alfredo, chicken adds good texture. Shy away from hamburg or other beef choices as they tend to turn mac and cheese into another dish entirely. How about bacon? Bacon brings any dish to a new level of goodness! Spices: which ones appeal to you? My family likes garlic in everything, so I add powdered or diced fresh garlic. How about powdered chili pepper or Italian seasonings? Allow your imagination and taste buds to guide you. What do you think? Is this a recipe to try out on your family to make them feel like company?